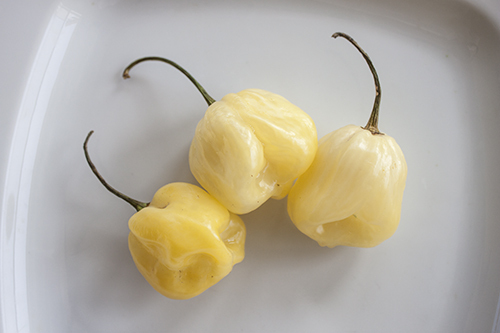 The White Giant Habanero is only slightly larger than a regular habanero, but compared to its white counterparts like the White Bullet, which are much smaller, it is a giant. They have intense heat and a somewhat smoky flavor, like other white habaneros. The exact origin of this variety is unknown.